There are a few places online where you can find Creative Commons public domain pictures. A couple popular photo sites with free photos are Morguefile which offers free photos for commercial use. Another nice site is Unsplash which has a nice library of “beautiful free photos.” Unsplash describes their site as having “over 200,000 free (do whatever you want) high-resolution photos.” I have gotten some images from Unsplash that I use as my desktop wallpapers. My favorite one, however, is Pixabay. All three of those sites are really nice, but I find myself going to Pixabay most of the time. The reason Pixabay is my favorite site for free stock photography because the images are really high quality, high resolution, and the searching works really well. This dramatically increases my chances of finding the perfect image for my blog post. The photos on some of the free image websites are littered with nasty ads, sneaky license restrictions, and the images are impossible to find. Other times you think the images are free to use, but they are not available for commercial use. Not so with Pixabay. They do suggest paid images from shutterstock, but the suggestions are relevant and relatively unobtrusive. Here’s a look at the advanced options you get for searching. You have to be careful because the photos on some of the “free” image websites are littered with nasty ads, sneaky license restrictions, and the images are not easily searchable making it almost impossible to find what you’re looking for. Other times you think the images are free to use, but they are not available for commercial use. Not so with Pixabay. They do suggest paid images from shutterstock, but the suggestions are relevant and relatively unobtrusive. Here’s a look at the advanced search options you can use to explore the archive of totally free images on Pixabay. One of the features I really like is the ability to choose the orientation of the images. Often times I’m looking for a header images for a website. The image really needs to be wide and short. So, you can search for horizontal images which really saves time by eliminating pictures that probably won’t work for the layout you need. You can also combine words in your search or even negate words to help fine tune the results to put exactly the images you want right at your fingertips. That will help refine your search to just acoustic guitars so you don’t have to waste time scrolling past images that aren’t what you’re looking for. So, Pixabay is a great source for free images with no copyright that you can use for commercial purposes or any other purpose. The images are safe to use, and paying attribution or linking back to the source is not required. 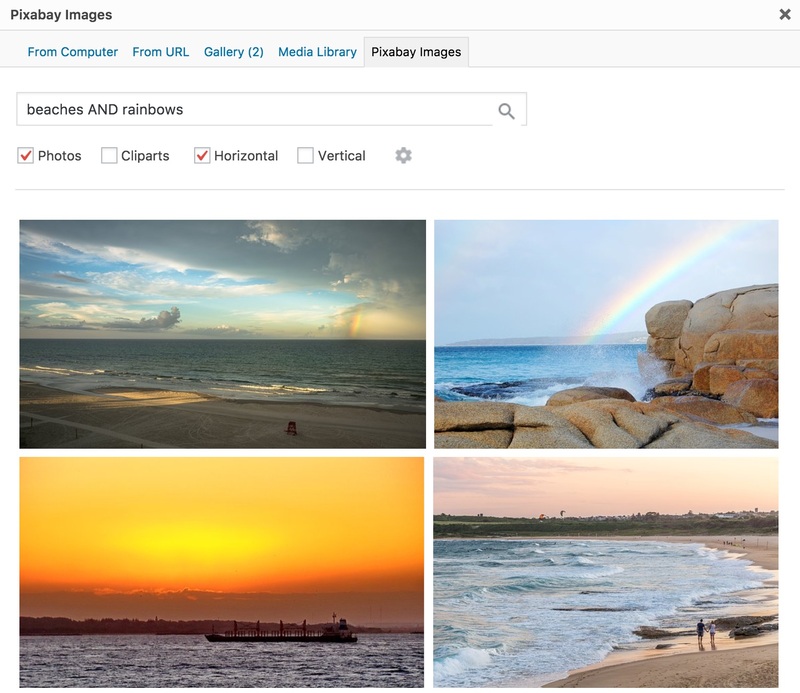 Recently Pixabay has published a WordPress plugin that makes it even easier to add images to your WordPress pages and blog posts. Once you install and activate the Pixabay WordPress plugin, you will see a new Media Button on your WordPress page editor screen. When you click that button, you will see a pop-up window where you can search through the Pixabay photo library. 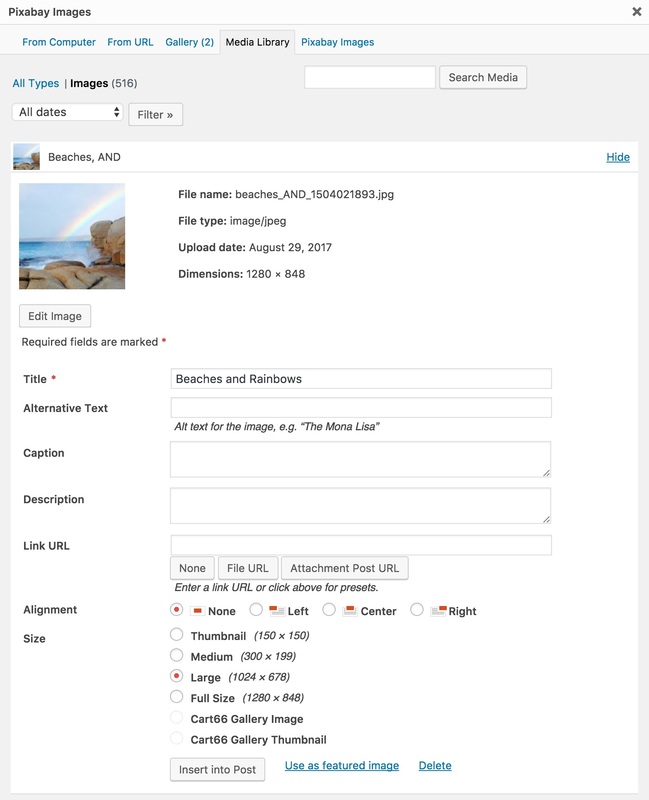 Just click on the image you want and it will be downloaded and saved in your WordPress Media Library, just like if you had uploaded an image from your computer. 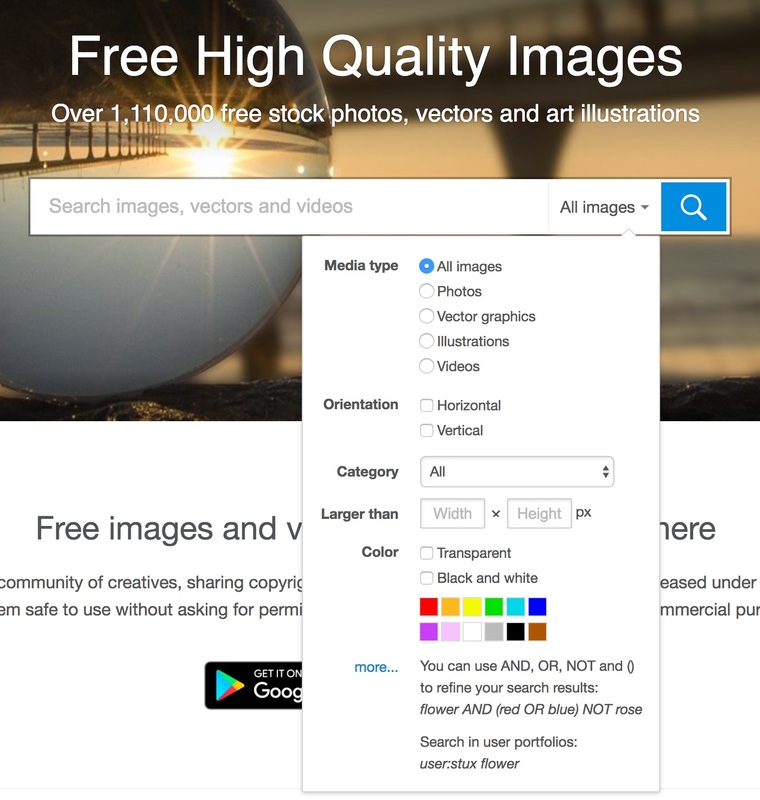 Now you can use these images from Pixabay just like you would use any other image! We’ve talked about three really nice free stock photo websites to add to your library of design resources where you can find some of the best images for your blog, website, social media images, and more. You are free to modify the images, create an infographic for your startup company, or do whatever you want. You can find pretty much anything from landscape photos to desktop wallpaper that you are free to use without worrying about infringing on anyone’s license restrictions. No subscriptions required.